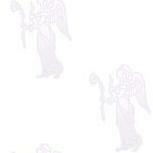 Superior quality parchment papers for all your magical needs. Parchment paper can be used for talismans, affirmations, seals, rituals, or special writings. 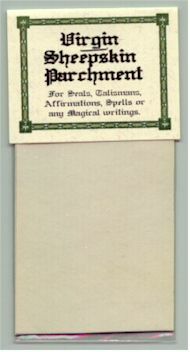 A pack of small parchment pieces for Talismans and other magical uses. Available in 2 sizes. Genuine Virgin Sheep Skin. Available in 2 sizes. Genuine Goat Skin. Available in 2 sizes. Genuine Calf Vellum. Click here to discover Talisman Seals on parchment. Select one of our Magical Inks or see Elemental Coloured Inks - Red, Blue, Green, Yellow, Silver and Gold. Need a Quill for your magical writings? Click Here.